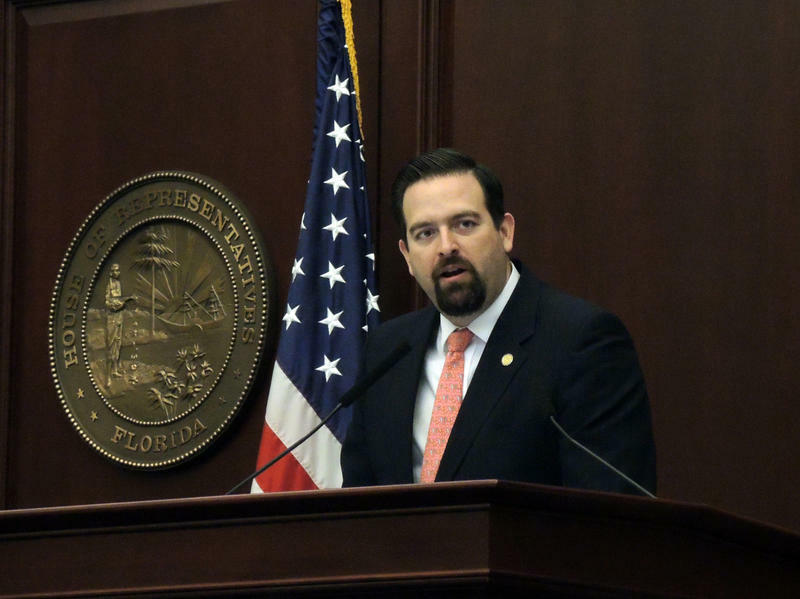 The no-aid provision, which dates to Florida's 1885 Constitution, has been invoked in recent years in legal fights over using publicly funded vouchers to send students to private schools. 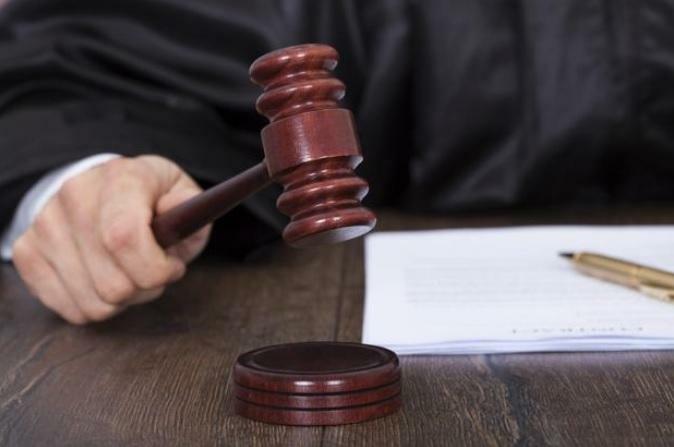 A state appellate court in 2004 cited the provision in striking down a voucher program, though the Florida Supreme Court later found the program unconstitutional on other grounds. Constitution Revision Commission member Roberto Martinez of Miami says he sponsored the proposed change because he believed the no-aid provision was being used to prohibit churches and other groups from performing non-religious activities based solely on their statuses as religious organizations. “If the church was going to use it in a way that would promote a particular religious objective, then I think it would run afoul of the Establishment Clause of the First Amendment,” says Martinez, an attorney. Marco Paredes, associate director for the Florida Conference of Catholic Bishops, says his organization supported the proposal as a way to let church-related groups participate in other activities. Paredes also said if the no-aid provision remains, it potentially could jeopardize other programs, ranging from hospitals to housing programs to natural-disaster relief, that receive public funds but are run by religious groups. “All these programs face an uncertain future because at any time someone could challenge (them),” he says. Mary Adkins, a law professor at the University of Florida and the author of a recent book on the development of Florida's Constitution, said there is debate over whether no-aid provisions across the nation were the result of anti-Catholic sentiment in the 19th Century. But she says there was “no hint of anti-Catholic animus” in Florida, although the historical records are scant. Florida is one of 37 states that has a no-aid provision in its state Constitution. The Constitution Revision Commission meets every 20 years and has the power to place proposed constitutional amendments on the November 2018 ballot. Martinez's proposal to eliminate the no-aid provision is one of dozens of proposals being considered by the commission. Adkins warned commission members that adding a “controversial” provision like the no-aid proposal could jeopardize the commission's entire slate of measures. She noted a similar no-aid constitutional amendment failed in 2012 with only 44.5 percent support from voters. “The general public when they vote will determine what's going to be successful or not,” he says. 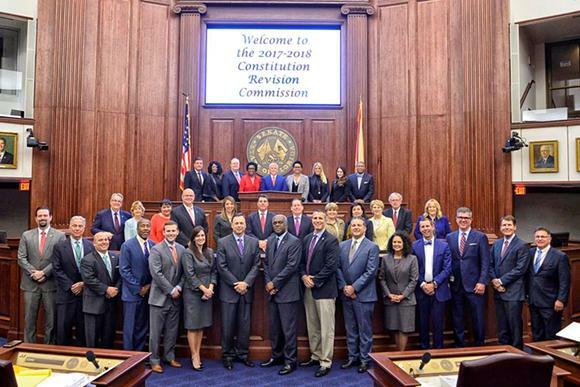 Commissioner Arthenia Joyner, a former Democratic state senator from Tampa, cast the only vote against the proposal, saying it would “gut” court rulings that have blocked the expansion of school vouchers. Joyner said Floridians already have a choice of sending their students to private or religious schools. Martinez's proposal next heads to the commission's Education Committee. If it moves forward to the full 37-member commission, it will need at least 22 votes to go before voters in November 2018. 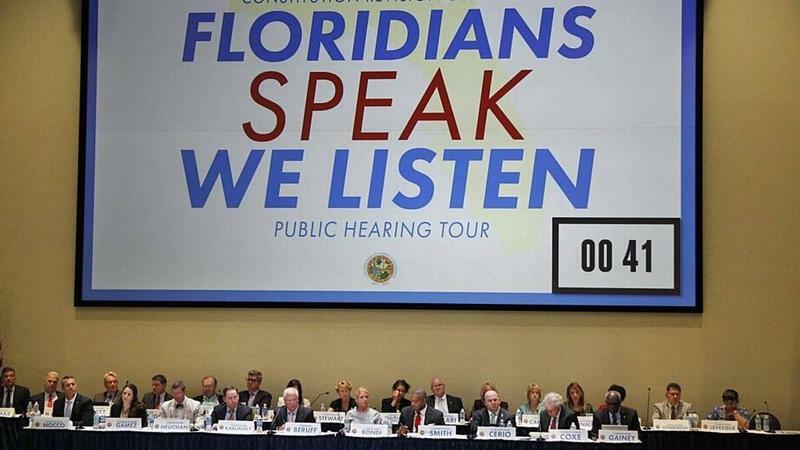 In a swift, 20-minute meeting, the panel charged with updating the Florida Constitution on Tuesday rejected all but a few of the 2,012 public proposals submitted to the Constitution Revision Commission, advancing only six of them, after months of encouraging the public to submit ideas. 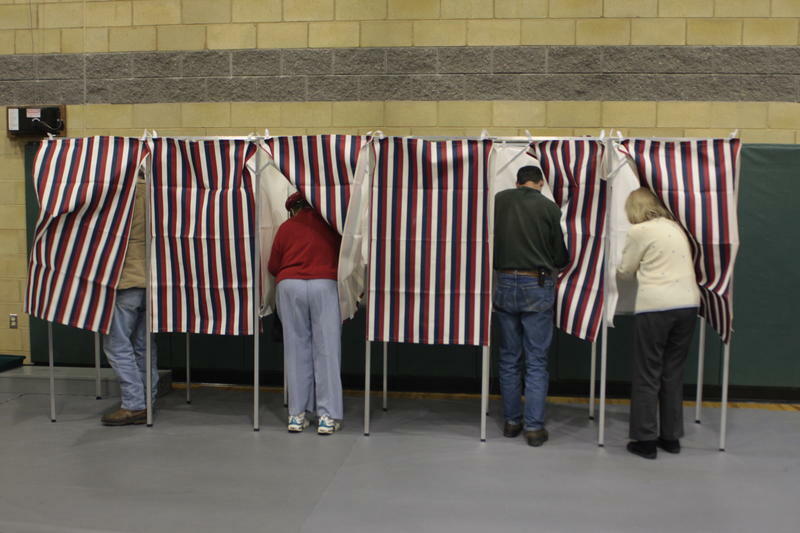 The Constitution Revision Commission may consider changing residency requirements to run for state office. 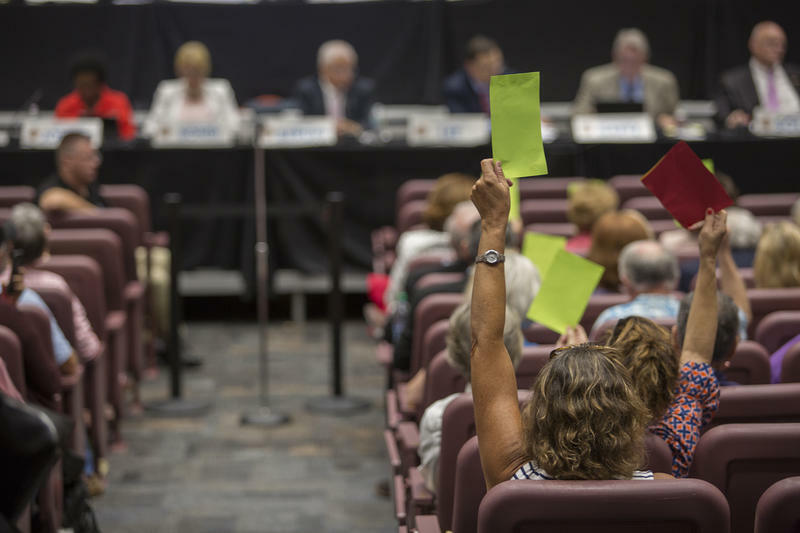 Floridians can file petitions to amend the constitution, but not to rewrite state statutes. A legal expert wants politicos to consider changing that.